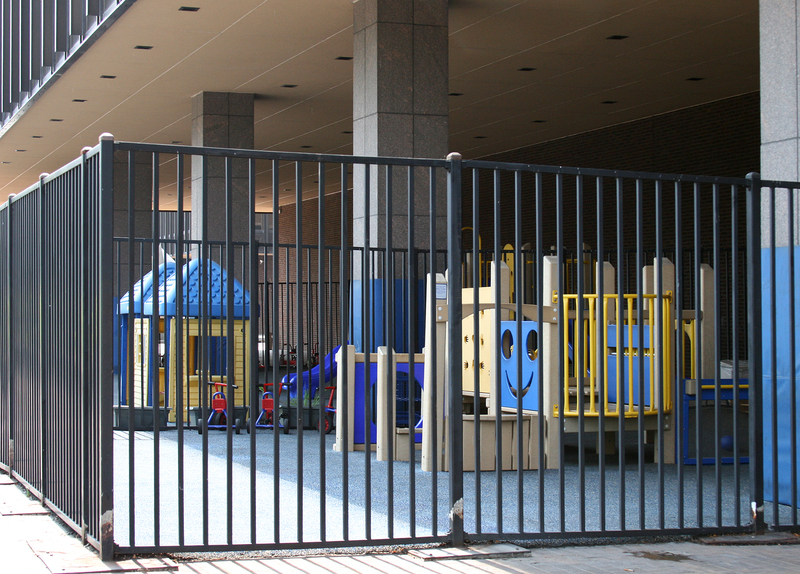 During a visit to Philadelphia, the irony of a playground surrounded by a gate was not lost on me. Tears rolling down her cheek, a little girl sobbed as she watched other children playing happily on the swings and monkey bars. The reason for her tears? The soft surface and narrow structures posed impassable obstacles for the wheelchair she used to get around. Although the Americans with Disabilities Act of 1990 required new playgrounds, like all other places of “public accommodation,” be accessible to everyone, many people have been unaware of the law’s requirements. And as important as this legislation is, it is not the federal government that has been the greatest impetus for ensuring that all children can benefit from healthy, constructive outdoor play but, rather, parent advocates. Moved by the plight of these children, whether they are their own or someone else’s, many parents were spurred to action. Other parents, who lost a child to a terminal condition, often after a courageous battle for survival, with equal determination, dedicated themselves to building a playground for other children with a disability, to honor their lost loved one, enabling other children to enjoy what their child did not have a chance to experience. Two pioneers in the US are Boundless Playgrounds and Shane’s Inspiration. One day, Amy Barzach, mother of two boys, noticed a little girl in a wheelchair. Unable to join her peers on the playground, she was sobbing. The following year, tragedy struck one of her children, rendering with a severe disability, from which he later died. The image of the little girl in the wheelchair still fresh in her mind, she was inspired to honor the memory of her son and, in 1997, created Boundless Playgrounds to raise funds and work with existing suppliers of playground equipment to create spaces where all children could play. Boundless Playgrounds has created stringent standards of design, to which suppliers and builders must comply to become a certified Boundless Playground and earn the trademark. The organization works with communities and individual advocates to ensure each Boundless Playground will provide children of all abilities many years of safe and fun enjoyment. More than 200 Boundless Playgrounds in the US and Canada offer some 100,000 children social, recreational, and educational opportunities for play. Another early effort is Shane’s Inspiration. Born in 1997, Shane Alexander, lived only a few weeks, succumbing to Spinal Muscular Atrophy. Shane’s parents, Catherine Curry-Williams and Scott Williams knew that, had he lived, he would have been confined to a wheelchair. Shane, would have been denied a fundamental rights of childhood, the right to play, enjoyi8ng time with friends on the playground. Their tragic loss became the vision we now know as Shane’s Inspiration; in 1998 thousands of children of all abilities in Los Angeles were able to play together on a huge, bright two-acre playground. According to the Web site, “this playground gives children with disabilities and children without the opportunity to play with and learn from each other, thus increasing awareness and acceptance.” Shane’s Inspiration has led to other community leaders and advocates throughout California and some far-away places to develop more than 40 more such Universally Accessible Playground projects. Furthermore, Hadley’s Park opened in 1999, in Potomac, Maryland. As with the other playgrounds, this facility inspired other efforts to provide inclusive play areas for local children, including parents who wanted to honor a deceased child. Inclusive playgrounds were featured on an NPR piece, “For Kids with Special Needs, More Places to Play”; the Web page features an overview, with pictures and a podcast. Accessible playgrounds. An accessible playground poses no barriers for any child. Inclusive playgrounds. An inclusive playground is designed to allow children of all abilities to play side-by-side; each element is able to accommodate all abilities simultaneously. Universal designed playgrounds. Also referred to as “universally accessible playgrounds,” these playgrounds are designed to be equally useful to everyone, not just persons with disabilities. Universal design is addressed in the UN Convention on the Rights of Persons with Disabilities. It should be noted that accessibility has been refined to include features for children whose disability is intellectual or cognitive rather than one of mobility; examples include on which children with various types of autism or sensory-processing disorders will feel at home. An example of one of these sensory facilities is the Star Center Playground. Furthermore, a handy online resource lists 30 exemplary playgrounds. Two more excellent resource are the online comprehensive directory compiled by Accessible Playgrounds and a downloadable app that is part of the NPR article. Section 2. “The child shall enjoy special protection, and shall be given opportunities and facilities, by law and by other means, to enable him to develop physically, mentally, morally, spiritually and socially in a healthy and normal manner and in conditions of freedom and dignity. In the enactment of laws for this purpose, the best interests of the child shall be the paramount consideration. 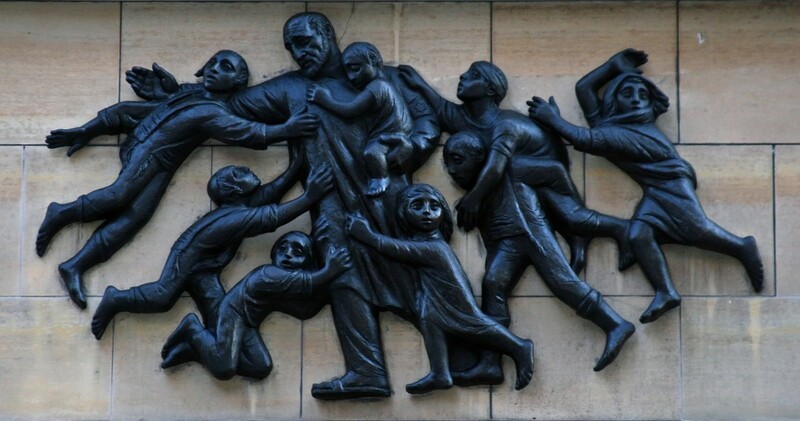 I came across a beautiful (but sad) and heartfelt piece from the Chattanooga Times Free Press on why we need Janusz Korczak in these troubled times.